At Holy Family we use digital technologies in a responsible way and with appropriate care. 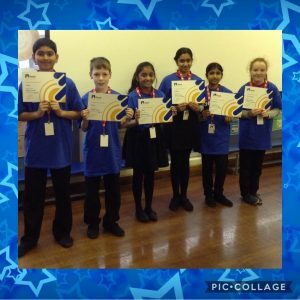 We have six enthusiastic Digital Leaders. 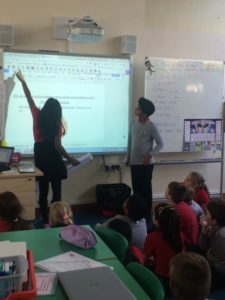 They have been developing their understanding of the importance of being a responsible digital citizen, giving examples of appropriate online behaviours and actions to other pupils in our school. The Digital Leaders attend training and meetings with Miss Farren. They cascade information to their assigned classses and also assist teachers and pupils with the use of iPads and apps. 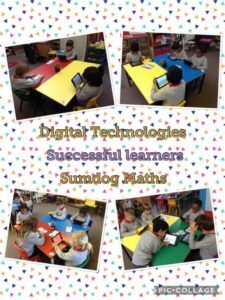 Our upper stages classes improve their digital literacy by communicating and collaborating with their teachers and with each other most recently by using Google applications eg. Drive, Sheets, Docs and Slides. Our nursery and infant classes enjoy using their class laptops and iPads to enhance their digital skills. They enjoy games based learning activities and every pupil at Holy Family has benefited recently from having home access to Education City. This was generously paid for by our very supportive PTA. Upper stages classes enjoy using Google Chromebooks and GSuite applications to enhance their learning. Infant pupils enhancing their skills using various literacy and numeracy games on the iPads. We support digital inclusion in Holy Family through the use of TextHelp. Miss Farren, Miss Fee and two primary six pupils attending training in September. The information gained was then shared with staff and pupils. TextHelp mentors sharing their knowledge of TextHelp with their classmates. 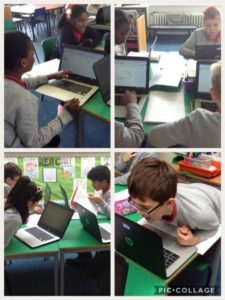 Supporting digital inclusion by using TextHelp in class. 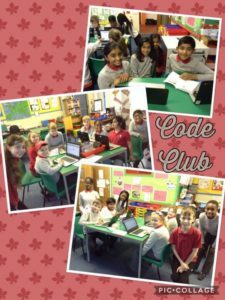 We have hosted a successful after school Code Club several times at Holy Family. Primary 6 and 7 pupils voluntarily give up their time freely to support younger pupils in our school.